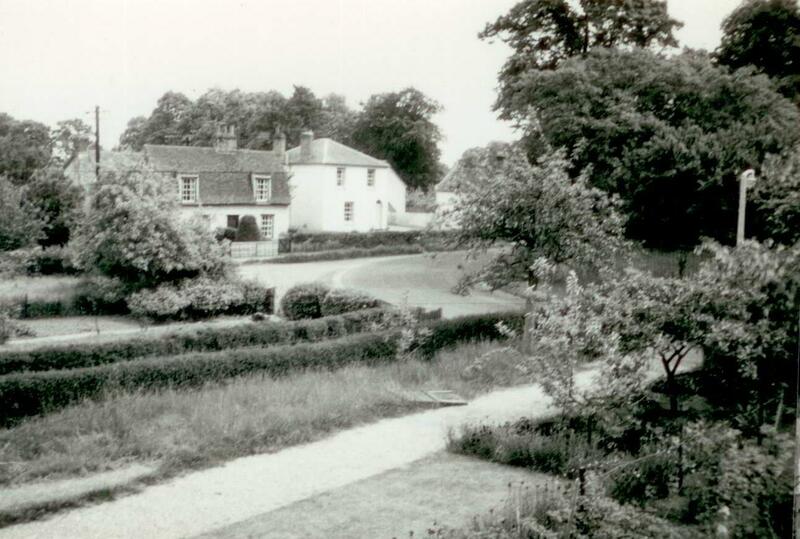 Build around the 1750s were originally three cottages – 1, 2 & 3 Hillview Cottages. 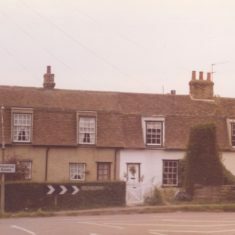 Rev Hugh Mansfield-Williams, vicar of Harston 1954-60, recalls that from the kitchen window of his vicarage he could see the iron stanchion (no longer there) fixed to the chimney pot which had held the sign. 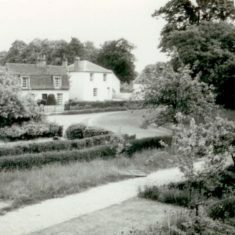 He also recounts that one of his predecessors, Edward Bosanquet, vicar 1836-48, had lodgings in the inn since the original vicarage was so damp. We have been unable so far to find any information about landlords or any early photos – can you help? 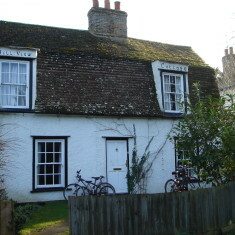 The original three cottages have been converted and extended making just two cottages now. 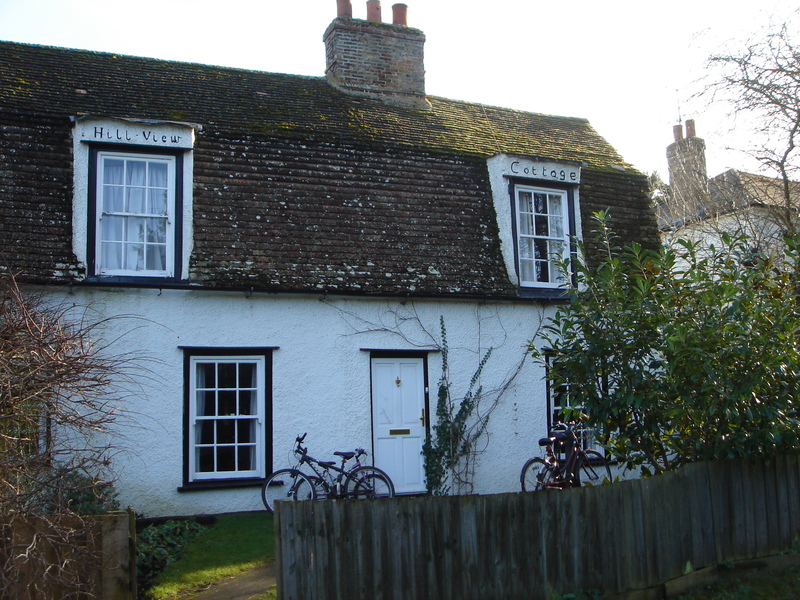 No72 is now the right-hand one and combined two previous cottages built in the second half of C18- its two doors shown in the earlier photos- now just one. It still has old wooden ceiling beams showing its original timber frame. 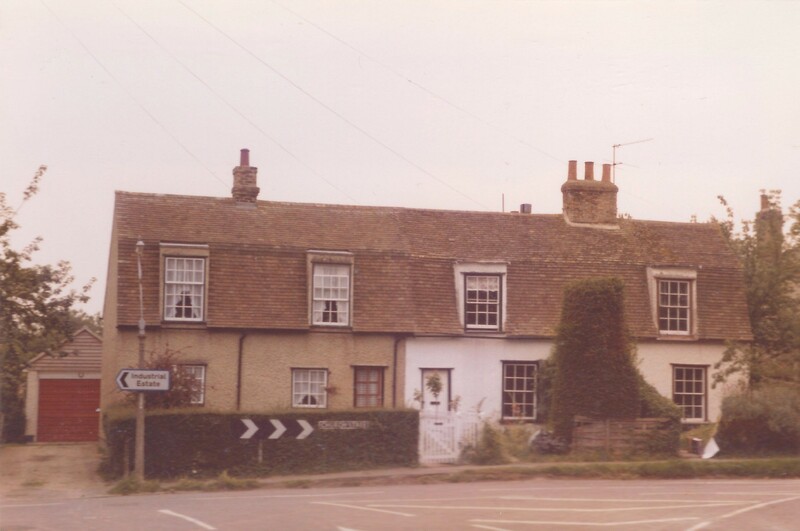 The name of the row of Cottages is still visible on the front of the cottage.